Vacancy rates in the Bay Area are roughly half that of the rest of the United States. The Bay Area has one of the nation’s tightest housing markets, with vacancy rates of just 1.1 percent for single-family homes and 3.5 percent for rental units — offering a strong impetus for homebuilders to step up construction in the area and give a further boost to the local economy. 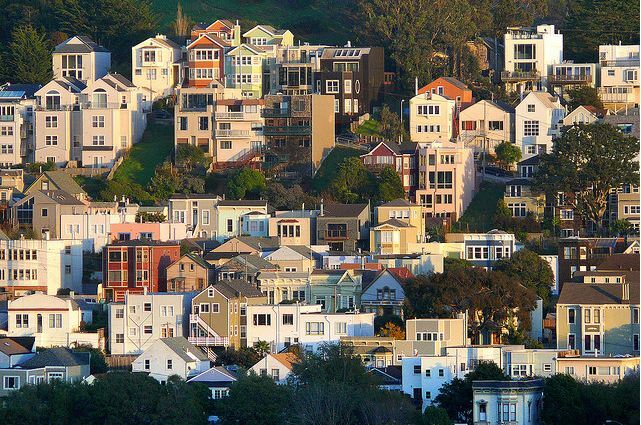 A recent report from the U.S. Census Bureau showed vacancy rates in the San Francisco-Oakland-Fremont metropolitan area far below the national averages of 1.9 percent for single-family homes and 8.7 percent for rental housing in the fourth quarter of 2012. The vacancy rate for single-family homes in the Bay Area actually rose from the fourth quarter of 2011, when it was a miniscule 0.7 percent. However, the 1.1 percent rate in the last quarter remains far below the Bay Area’s average range of 2 to 3 percent over the past seven years. Among rental housing, the vacancy rate was down from 6.1 percent in the fourth quarter of 2011. The Bay Area’s homeownership rate, meanwhile, continued to slide in the fourth quarter, down to 53.2 percent from 55.3 percent a year earlier and 58.8 percent in 2005. Nationally, the homeownership rate stood at 65.4 percent in the fourth quarter of 2012, down from 66 percent a year earlier and the lowest level since 1997. Separately, the U.S. Commerce Department reported recently that the pace of U.S. household formation is accelerating as employment improves.